Glad you like the barn. All who visit us comment on it. We live near Parrish Florida which is near the west coast side. Someday I might spring for the cupola plans you sell. 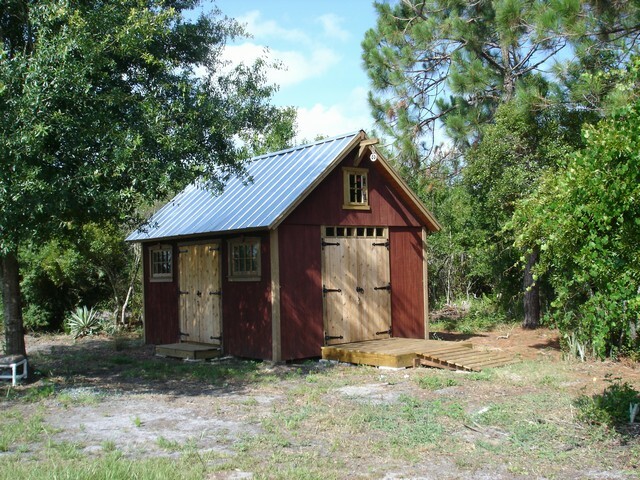 We argued a bit here about what kind of shed to get. I was against a cheap aluminum shed that looks, well, cheap. It was worth the extra time and $ to have a building pleasing to the eye and very functional. Keep up the good work of beautifying America’s landscape.